As a company, I have loved Ingenio Toys for a long time. They have really thought about their products and are dedicated to creating toys and games that reflect the qualities I listed above. I have been salavating over their Smart Projector for a while, because both of my kids could (and sometimes do) spend hours each day drawing and I know they would flip for this projector. It teaches how to trace and write the alphabet and numbers - perfect for my son - and also allows them to trace and draw 24 animals and write their names in English/Spanish, which is exactly what m'ija will love. In addition, the size of the image can be adjusted depending on the drawing surface. 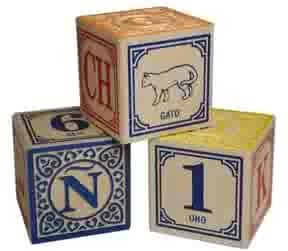 I think these blocks are a must-have for families with toddlers. 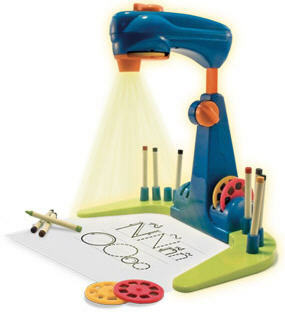 They are perfect for building, which developes hand-to-eye coordination and creativity. And they grow with the child, providing a manipulative that parents can use when teaching letter/number recognition, reading, spelling, etc. 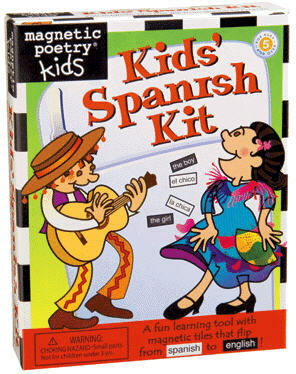 This is a classic toy that all bilingual families should have in their home. Older children will appreciate this kit and parents will, too. It comes with over 200 double-sided magnets that display Spanish words on one side, and English on the other. A great way for increasing vocabulary in Spanish- and English-learners. Children can also explore sentence structure, rhyming, and grammar with the help of a teacher. When my daughter was two, someone gave her this doll. Four years and one battery change later, we still have it and ﻿it is still beloved. 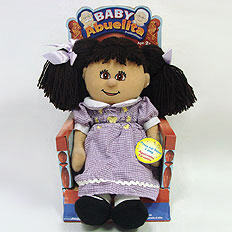 Baby Tita (pictured above), like the five other dolls created by Baby Abuelita, sings snippets of traditional lullabies and folksongs from Latin America when you squeeze her hand. There is just something about the power of music and nursery rhymes that captures the heart of children all over the world. And I have to admit, that this doll is one of my favorites, too, because she looks like my daughter, and also because I am so happy to be able to share these songs from my own childhood with my children.